A variety of objects that will both sink and float in water, like corks, metal rings, paper scraps, feathers, buttons, and marbles. 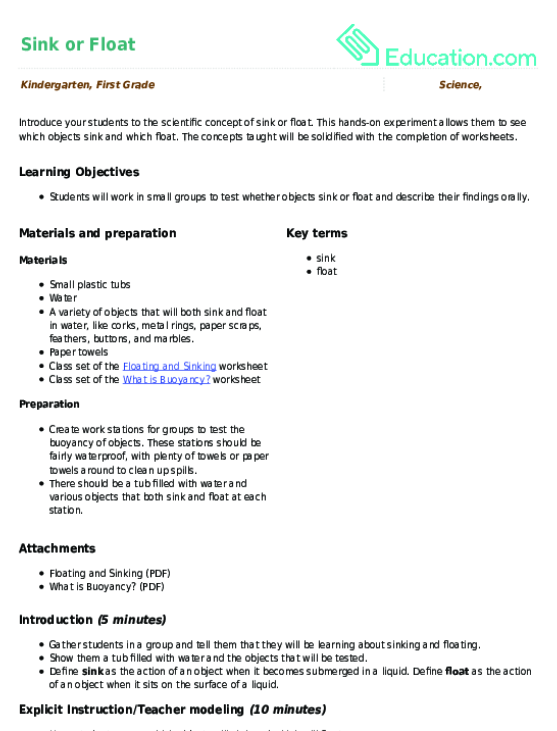 Create work stations for groups to test the buoyancy of objects. These stations should be fairly waterproof, with plenty of towels or paper towels around to clean up spills. There should be a tub filled with water and various objects that both sink and float at each station. Students will learn which objects sink or float. Gather students in a group and tell them that they will be learning about sinking and floating. Show them a tub filled with water and the objects that will be tested. Define SinkAs the action of an object when it becomes submerged in a liquid. Define FloatAs the action of an object when it sits on the surface of a liquid. Have students guess which objects will sink and which will float. Tell students that lighter objects are more likely to stay on the surface of the water and heavier objects are more likely to sink to the bottom of the tub. Drop a couple objects into the water to show students how you would like them to place the objects, avoiding splashing, and showing them what you are looking for to determine whether the object floats or sinks. 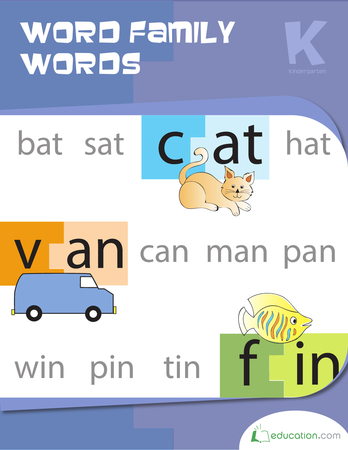 Make a "float" and a "sink" pile and put your objects in their corresponding pile. Split your class into groups, one for each work station. Have students test one object at a time, placing them into their own "float" and "sink" piles as they finish. As groups finish, go around and check their "sink" and "float" piles for correctness. Ask students to clean up any spills that may have happened, then to return to their seats. Hand out the Sink or Float? 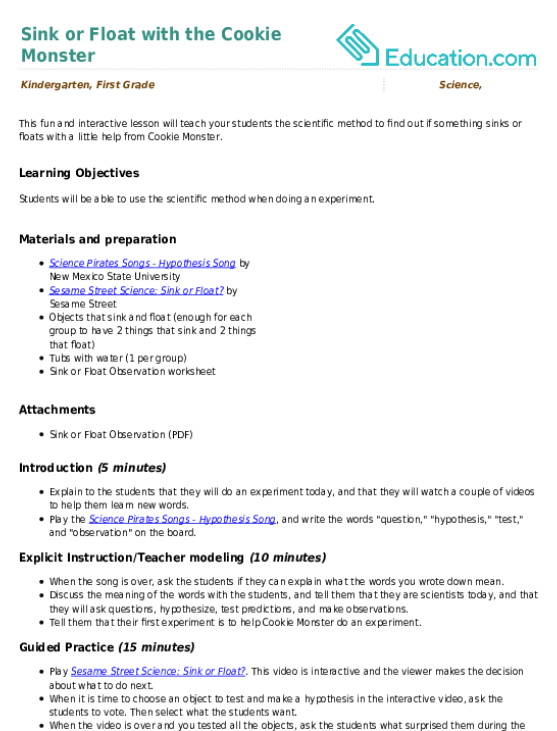 and Buoyancy worksheets. 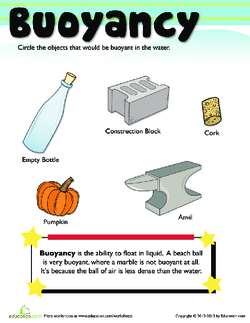 Read out the definition of buoyancy from the Buoyancy worksheet. Ask students if they have any questions. Rotate around the classroom and assist struggling students. Have students turn in their worksheets when done. Enrichment:Advanced students can test more objects or complete extra worksheets, such as Sink or Float? 2 or Buoyancy 2. 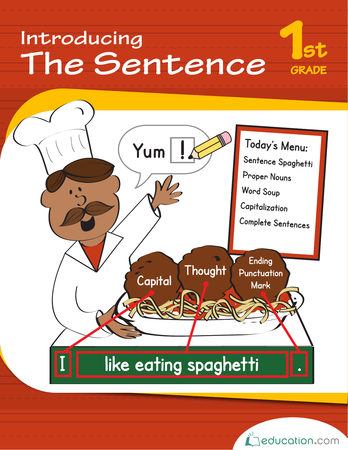 Support:Pair struggling students with students who have a strong understanding of the concepts presented. 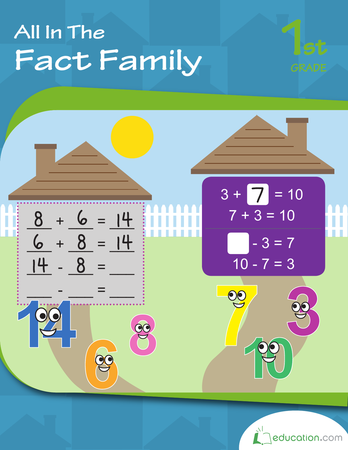 Offer additional help with worksheets. 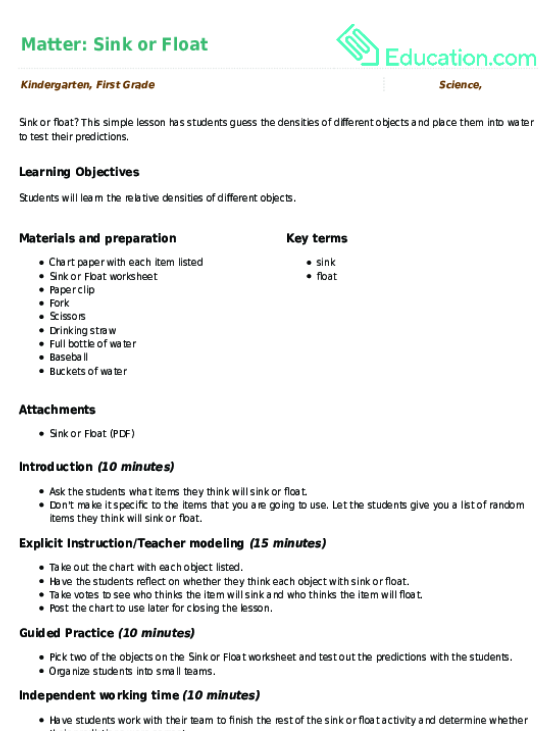 Review students' "float" and "sink" piles as well as their worksheets to assess their levels of understanding. 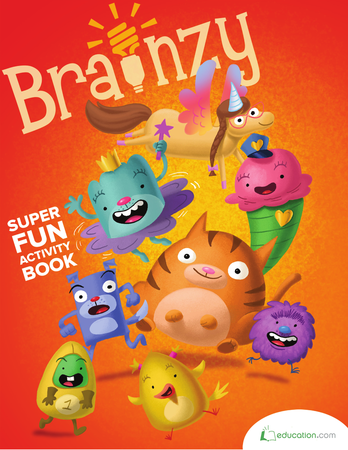 Gather students into a group. Ask students if they were surprised by any of their results. Review the concept of sink and float with them. Read a book about sink and float if you feel your class needs more practise with the concept. 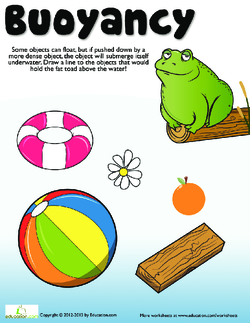 Introduce your students to the scientific concept of sink or float. This hands-on experiment allows them to see which objects sink and which float. 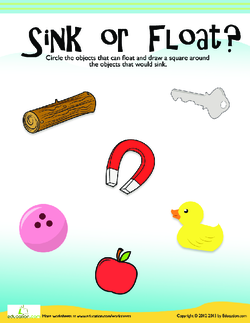 Your budding scientist will decide if these objects sink or float! Sink or float? This simple lesson has students guess the densities of different objects and place them into water to test their predictions. 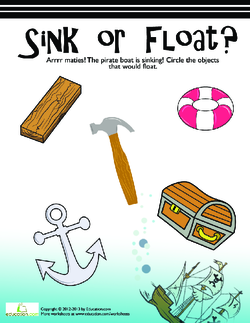 If a ship went down, would these items sink or float? 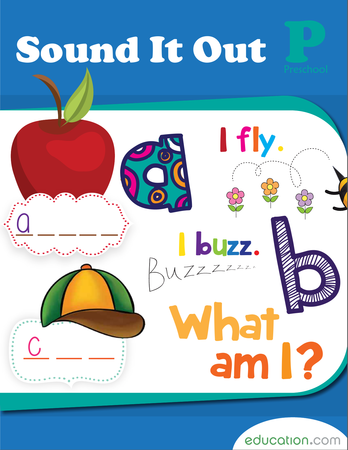 Your little one will decide, with this fun worksheet to help him hone sorting and categorizing skills. Your little one will decide which objects sink, and which ones float! This fun and interactive lesson will teach your students the scientific method to find out if something sinks or floats with a little help from Cookie Monster.